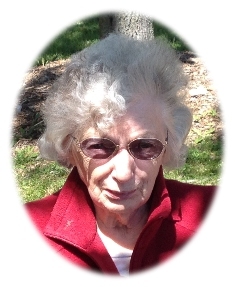 Dorothy L. Karrels, age 87, formerly of Highland Drive, Grafton, WI died peacefully May 14, 2017 at Heritage Health and Rehabilitation Center in Port Washington where she had resided the past few years. She was born on November 29, 1929 in Germantown, WI; daughter of Reinhold and Hilda Wetzel Wendt. Dorothy attended Friestadt School. She had lived by Five Corners in the town of Cedarburg, near the former Black Wheel Restaurant and had assisted them as a bookkeeper. For many years, Dorothy worked for FW Busch Corporation in Grafton; starting in the shop and later doing office and accounting work. Upon her retirement, Dorothy worked over ten years at the Grafton Pick ’n Save Grocery Store. 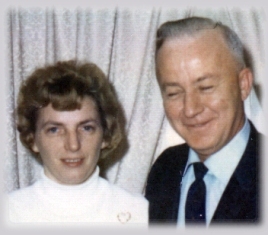 On May 11, 1974, Dorothy married Wilfrid N. “Willie” Karrels of Port Washington. He preceded her in death on June 21, 1991. Dorothy had been a member of Immanuel Lutheran Church in Cedarburg and the Peter Wollner American Legion Post 288 Auxiliary. She enjoyed playing cards, especially sheepshead. Dorothy participated on many bowling teams over the years. Other hobbies include gardening, cooking and spending time with family and friends. She is survived by her nieces Sandy (John) Paulik of Brookfield and Sharon Seaman of Fond du Lac; her nephew Harold (Susie) Wendt Jr. of Cedarburg; sisters-in-law Kathy (the late Harold) Wendt of Port Washington, Lorraine (the late Victor) Weyker of Green Bay, Janet Becker and Anne (the late Leroy) Karrels, both of Port Washington; brother-in-law Franklin (Annabelle) Karrels of Port Washington, grandnieces, grandnephews, other relatives and friends. Dorothy is preceded in death by her husband Willie, her brother Harold Wendt, sister-in-law Adeline and her husband Joseph Bolz, brothers-in-law Oliver and his wife Janet Karrels, Victor Weyker and Leroy Karrels. Funeral services will be held at 6PM Thursday, May 18, 2017 at the POOLE FUNERAL HOME/Crematory, 203 N. Wisconsin Street, Port Washington, WI. Pastor Vicki Simon of Immanuel Luthern Church will officiate. Visitation will take place from 4-6PM Thursday prior to services at the funeral home. Interment will take place at St. Joseph Cemetery in Grafton. Memorials to charity of donor’s choice appreciated. Information and condolences available at www.poolefh.com or 262/284-4431. A heartfelt “Thank you” to the staff of Heritage Health and Rehabilitation Center in Port Washington for the years of attention and kindness given to Dorothy.